Filipino culture invaded the festive grounds of the Philippine Cultural Enrichment Complex for three exciting days for the 16th annual PhilFest 2011. 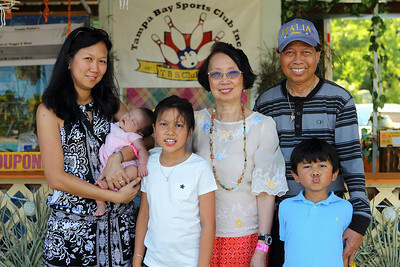 Everything native to the Philippines converged with food, entertainment and exhibits to the delight of the Tampa Bay community. The long traditional gowns of the Philippines adorned the stage with graceful Filipinas. The Grand Flores de PhilFest Parade soon followed with beautiful Munting Reyna's circling the Philippine Village with a crowd of envious onlookers. 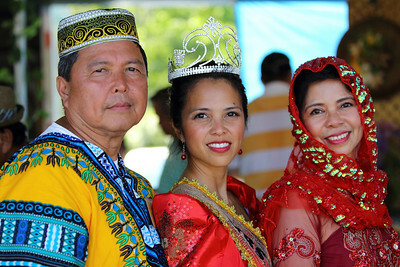 Call it a celebration of a long standing ethnic traditions. 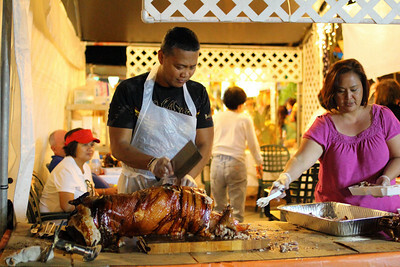 Filipino culture also includes the plethora of culinary delicacies. 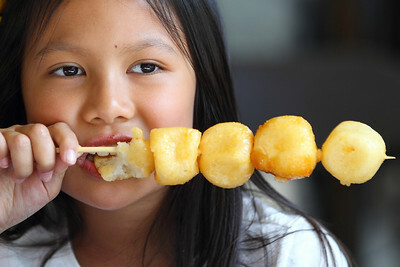 My personal favorite and the exclusive "food of the gods" is the delicious Carioca. Consider it fried doughnut balls on a stick with an ever so sweet glaze that will make you beg for more. It is also an effective bribe for out of control children. The ever so dusty and dirt filled Philippine Village is replaced by thousands of square feet of smooth and clean concrete. Kudos to the Philippine Cultural Foundation for this very welcome addition to the annual Fiesta. Crowds of anxious people looking for the next Filipino delicacy will no longer have the ominous dust trail behind them. The PhilFest 2011 video is shot with the Canon EOS Rebel T3i/600D. Paired with the Canon EF-S 17-55mm f/2.8 IS lens and the Zacuto Z-Finder Pro optical viewfinder, the 1080p Full HD footage was edited with Apple Final Cut Pro. The still photographs of PhilFest 2011 was captured with the Canon EOS 1D Mark IV with the Canon EF 24-70mm f/2.8L and EF 70-200mm f/2.8L IS II zoom lens. You can view more images in my PhilFest 2011 Gallery. Yes, my newborn daughter Serena only slept and cried through this glorious event. 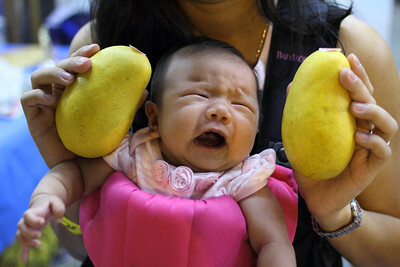 Ripe and sweet yellow mangoes did not even appease her. Crispy Lechon, lumpia shanghai, pancit and halo-halo will have to wait until next year's PhilFest 2012. I will be there with mouth wide open and maybe the next latest Canon HD DSLR such as the soon to be Canon T4i/700D. Stay updated with the latest updates by becoming a Fan on my Facebook Fan Page and following me on Twitter! 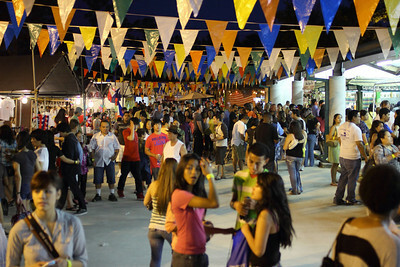 ***UPDATE*** Here is the link to PhilFest 2012 with updated pictures and videos. Love the video! What picture style and color correction did you use? Thanks for the compliments. I just used Standard Picture Style with Sharpness set to 5, Contrast set to 0, Saturation set to 1 and Color Tone set to 1. I used no color correction in Post. WYSIWYG! The trick is a custom white balance before you start recording video and good glass. I use iMovie'09 as well in my 2006 MacBookPro. No transcoding needed, just import the video files into your project. As for DVD, just export to iDVD and use the max quality settings. I am not 100% on DVD export because I export everything to Apple Devices or the Web. It looks like you film HD mostly at 30fps. Is there a reason why not 24fps or 60fps? Do you try maintain a certain shutter speed in your videos? If so, do you ever use a ND filter or a CPL to help with that? The area is likewise the second-largest minority-majority public. dadeschools In situation you are unable to enter right Username or password.